Sebra - Danish brand for children - View everything on - LIVING AND CO.
Sebra Interior is modern design with an innovative choice of colors. A large part of the collection is handmade and made from natural materials such as wood, wool and cotton. Materials that appeal to the imagination of children. This Sebra junior & grow mattress is suitable for the Sebra swimming pool and consists of two parts. In the junior bed you use the large part, in the grow bed you use both mattress parts. The mattress is made from certified Oeko-tex cotton. The new Sebra junior & grow bed is already a true classic! Danish design with a nod to the past. 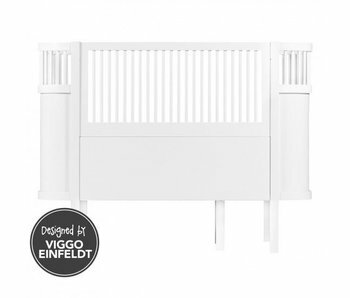 The bed can be extended so that it can be used from 3 to 4 years to +18 years. The mattress is available separately. The new Sebra bed is a true classic! Danish design with a nod to the past. 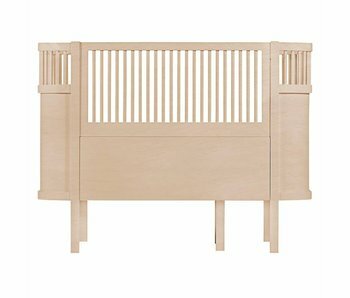 The bed can be extended so that it can serve as a baby bed and a junior bed. The mattress is available separately. Wonderful to combine with the Kili chest of drawers. This Kili mattress is suitable for Sebra Kili meegroeibed and consists of two parts. In the crib you use the large part, in the junior use two mattress parts. 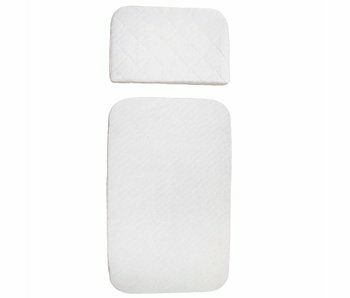 Kili The mattress is made of Oeko-Tex certified cotton. Buy Sebra online at Living and Company! Sebra is Danish design. Sebra designs and manufactures furniture , bedding and other accessories for children and their beautiful rooms. The company was founded by Mia Dela in 2004. Mia was trained as a designer at the design school in Kolding in 2001, after which she worked for several years as a designer. When she was decorating a room for her son Gustav she could not find any items that radiated quality and design, this was the beginning of Sebra. Today, the team behind Sebra is about 20 people with 37 children in total. The collection now has more than 300 designs that are sold in more than 13 countries. Sebra Interior is modern design with an innovative choice of colors, combined with old types of handicraft, such as crocheting and knitting. A large part of the collection is handmade and made from natural materials such as wood, wool and cotton. Materials that appeal to the imagination of children and satisfy parents' desire for quality and creativity. 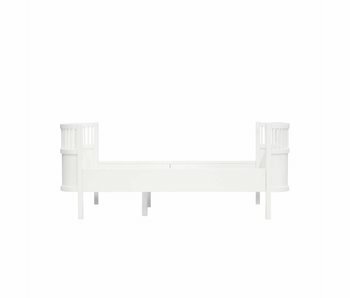 The Sebra Kili cot is one of the most distinctive designs from the Sebra collection. This bed is not just a bed, it is a true classic. The Sebra swimming pool was designed in 1942-1943 by the Danish architect Viggo Einfeldt. 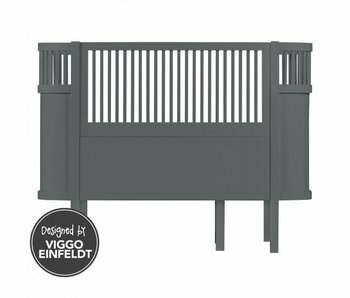 The thought when designing this bed was that a bed should grow with the child and can be used up to 7 years old. 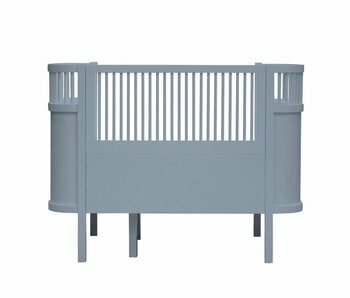 To make it even more fun; the bed is available in different colors so that it fits well with the decoration of the nursery. To complete the whole you can use the Sebra Kili changing table as a set next to the bed to create unity in the nursery. Living and Company is officially Sebra dealer. This way you can be sure that we order the original furniture directly from the supplier and offer a good service. We have done our very best to select the best Sebra collection for you. If a specific product is missing, you can always contact customer service to inquire whether we can order the product. With us you have 30 days to change your mind, you pay safely (afterwards) and we deliver your order for free from EUR 100, -.